Lightened Motor Rear Mount Bracket? Anyone have pics of the rear motor mount that has been lightened, or an alternative mount to replace the heavy pulley cover? I've seen the crossmember drilled out, but what can be done with that lower cover? I've seen them with a lot of smaller holes on the narrower or more curved surfaces. If you are an ME, and have access to CAD/CAM, and a budget, probably not hard. 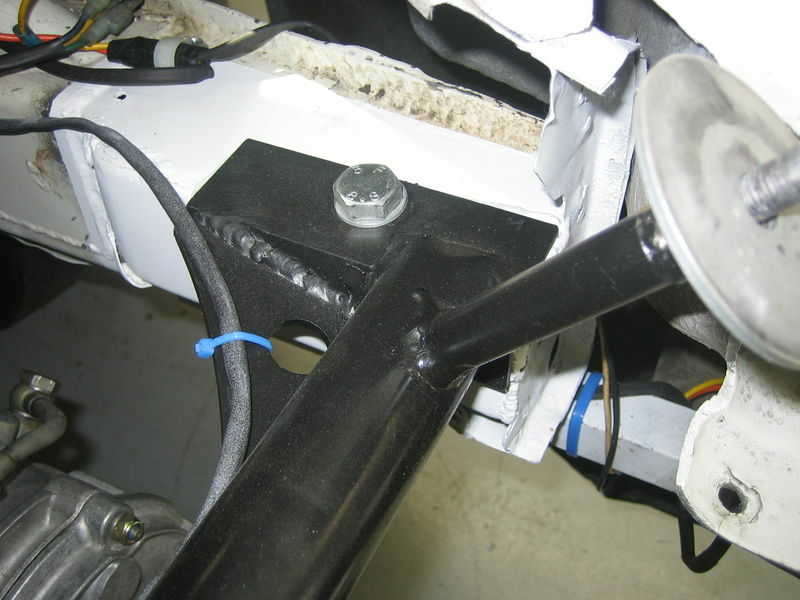 The thing I want most to do back there on my GT car is to fabricate a combination of cross bar and rear chassis member, attached at the end of each cross member. 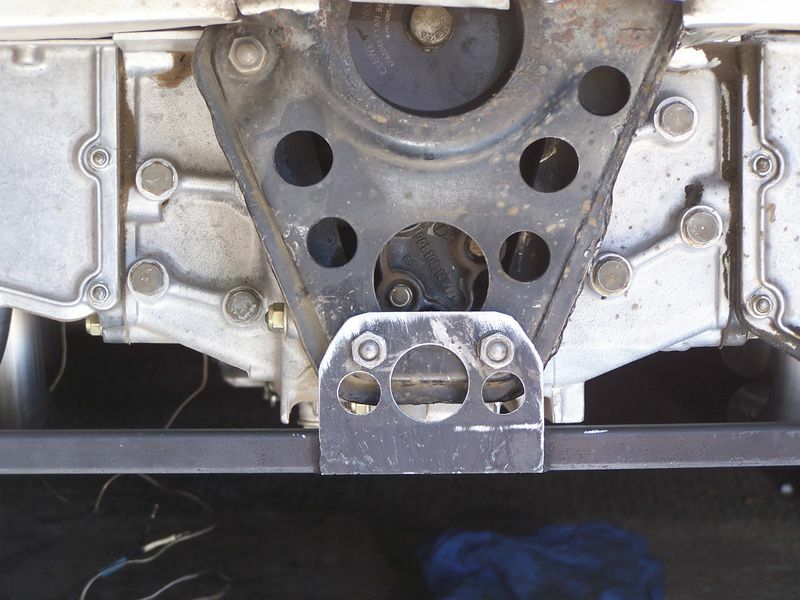 This allows you to cut off the stock cross member, and pull the engine straight back when you need to get it out. 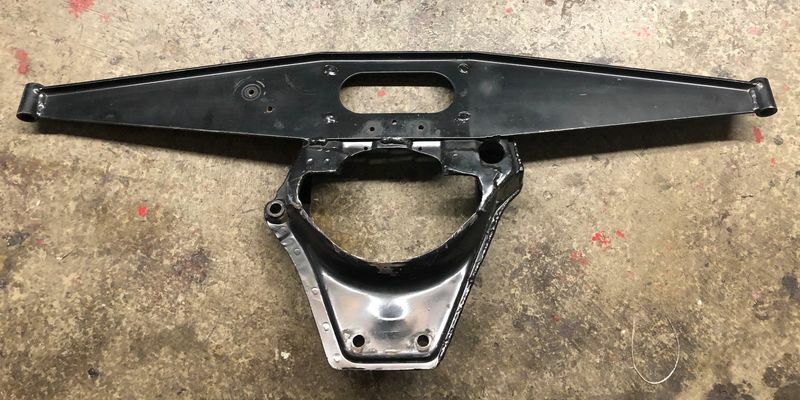 A number of shops have done this for customers, but it isn't as easy as taking a bunch of hole saws to the motor mount and stock cross mount. On reflection, Bruce Phillips of Albuquerque made a combo mount out of aluminum years ago, just without I think removing the cross member. Cutting holes in stock parts has got to be the best bang for the buck, though. Lot's of ways to skin this type of cat. It had to be reinforced at one point after some cracks developed.